Our specialist Family Team offer a personalised and holistic service to meet all of your family’s legal needs. The team provides tailored support and guidance whatever your circumstances. We appreciate that as a family you will require legal assistance, not only when things sadly go wrong from time to time, but also to guide you through making the best possible plan for the future of your family. ‘No-fault’ divorce to become law? How did Ant McPartlin and Lisa Armstrong get a divorce in 30 seconds? Contact our team on 01603 610911 and we will ensure you are put in touch with someone in our Family Team that can expertly advise you on your situation. I am writing to thank your firm for the exemplary work they have conducted with regard to my divorce and subsequent sale of my property. Special mention to Alisdair Douglas, whose guidance, understanding and wise council has been of immeasurable help in somewhat testing circumstances, as well as the thoroughness and professionalism shown. I have no reservation recommending Leathes Prior to anyone seeking legal help. Thank you again for the work you have carried out for me in my divorce. It has been very difficult for me due to the manner of the divorce but you have shown sympathy and kindness towards me and the situation I found myself in. Should somebody in the future need the services of a solicitor I will have no hesitation in recommending your practice. The team at Leathes Prior is prompt and proactive, and explains the options clearly. Alisdair Douglas is very knowledgeable, and guides clients through the process in a caring way. He is one of Norfolk’s leading lawyers for complex divorce and Children Act matters. May I take this opportunity to pass my sincere thanks and appreciation for the services Simon provided during my recent divorce process. The situation was long, complex and quite frankly distressing at times. Simon was extremely professional through the process, and I was always feeling that he was doing his very best for me. I always perceived the empathetic side of Simon, not being treated as only a client, but also taking into consideration the nature of my own trials and stresses, and those of our fractured family unit in the advice and direction that he gave. This really made the difference in my case (and my sanity) and probably the reason I have already referred two friends toward him. I would say that Simon is a true professional, a great communicator and a people person. He is surely a credit to Leathes Prior. Thanks Simon. I have worked with Alisdair for two years to complete a divorce process. I found him to be very professional and efficient and he looked after my interests throughout. He was efficient throughout and I would recommend him to anyone needing such legal advice. I see him as very professional and almost a friend when I needed one. He is an excellent lawyer and one that shows Leathes Prior in the best light and is an excellent partner to your business. I just wanted to write to say how grateful I am for the service provided by Alisdair Douglas in my recent divorce. He was always professional, knowledgeable and emotionally sensitive and helped me and my ex partner reach a settlement in a amicable way despite difficult circumstances. Simon Willis was acting for me in the family court at Norwich Magistrates. I would like to give feedback that I was impressed with Simons professionalism throughout my journey which lasted just under a year all together. Simon was calm and collective and advised me appropriately throughout. When I was down Simon gave me hope. And he was right. Simon had quite an awkward task with my case from many obstacles being put in my way to get me access to my son. Simon stuck with it and gave 110% all the time. I was impressed with Simon's presentation skills within court and his overall professionalism. I would certainly recommend Simon Willis at Leathes Prior for any future family law cases. They give sound and practical advice on a range of private client matters with some strong lawyers on their books. Leathes Prior is outstanding, ethical and excellent value for money. Practice head Alisdair Douglas is one of Norfolk’s leading lawyers for divorce and private law proceedings under the Children Act. 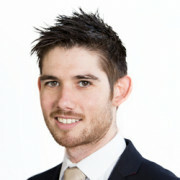 Rising star solicitor Simon Willis is an old head on young shoulders. Just superb – great service, great communication, no gobbledegook. As always excellent, courteous, prompt and professional service. I would like to take this opportunity to say thank you for all your hard and professionalism throughout the proceedings. I always felt you were looking out for my best interests. It was a pleasure doing business with you and the company and will use you again should I need to and will recommend to others. The Legal 500 recognises that the team listens carefully, is very professional and makes clients feel comfortable. Excellent service and thorough responses. Leathes Prior’s team is helpful and professional. Resolution-accredited Alisdair Douglas and rising star Simon Willis excel in divorce, financial remedy and private Children Act matters. I just wanted to let you know how grateful we are for all your help and advice during the last few weeks, and for keeping us so well informed, thank you. Leathes Prior’s Alisdair Douglas has a full grasp of what needs to be done. His team is easy to deal with, polite and courteous on all aspects of divorce, civil partnerships and Children Act matters. Thank you very much for all your hard work and patience throughout the stressful process. I feel very fortunate to have instructed you as my solicitor. Exemplary service and clear and accurate advice. 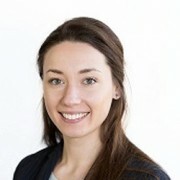 The firm advises on all aspects of private family law including divorce, financial remedy, private children matters, nuptial agreements, cohabitation disputes and non-molestation and occupation orders. Its financial relief cases often involve large incomes and pensions, interests in limited companies and assets derived from inheritance, trusts or bonuses. Partner Alisdair Douglas leads the team and has almost 20 years’ experience in family law. 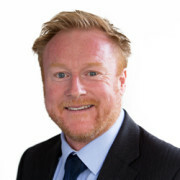 He is an advanced member of the Family Law Panel, an accredited Resolution specialist in the areas of advanced financial provision and private children law, and a member of the Good Divorce Group in Norfolk. 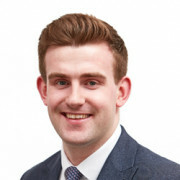 Associate Simon Willis is superb – he is always clear, on time and makes clients feel valued. 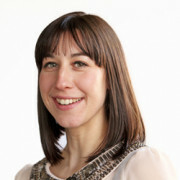 The team also comprises Laura Savage and Carla Morphett. It has been an absolute pleasure to work with Simon, who is professional, co-operative, open to different approaches whilst providing solid, common sense advice. With Simon’s support I have been able to process some of the case myself which resulted in much more cost effective outcome. I felt confident that I could reach out to Simon for just the right amount of support, when needed, and I am now certain that I would not have been able to have this kind of lawyer – client relationship elsewhere. I am hoping that I will not be needing Simon’s advice in future, however my experience with Leathes Prior has been so positive, that I will most certainly use your firm for any further legal advice or work I may be needing in future.